The big difference from museum and history conferences is that the geography associations seem to accept all presentation proposals. Each presentation is assigned a 15-minute slot in a 60 to 90-minute session according to their committees or study groups (e.g., health care, tourism, indigenous peoples, islands). Presenters in the same session usually have not met each other and there’s no moderator, so it’s just one presentation after another with no introductions or transitions. The result is that a session can be a mixed bag, so a session on “teaching geographic content” included the use of a 19th-century Pennsylvania German book to teach about folk culture to the challenges of using National Geographic’s Giant Maps in Native American schools to the resilience of Berber culture in Morocco. The quality varied dramatically as well, with some presentations led by people who had conducted extensive research and evaluation to others who were fresh out of school trying out an idea for the first time. 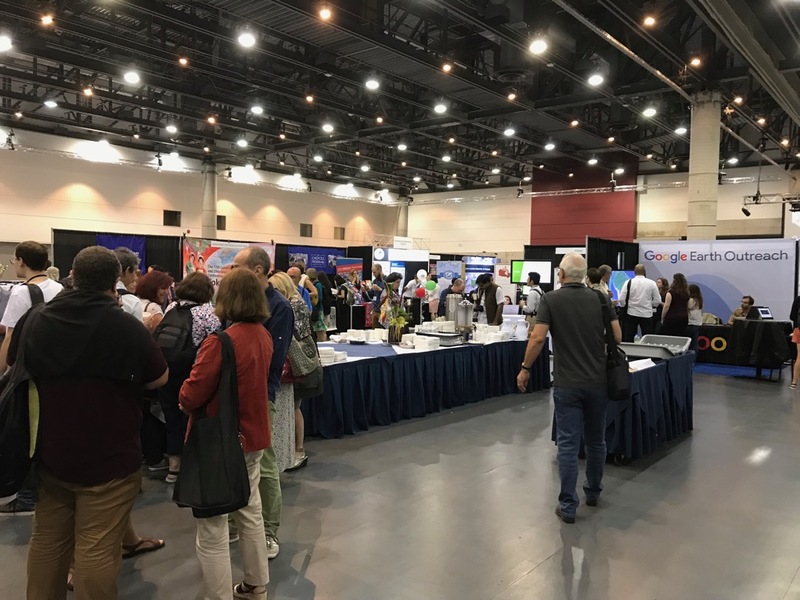 By the second day of the conference, I shifted my expectations that I was going to encounter a “grab bag” of diverse experiences and if a presentation was irrelevant or weak, I only had to hang on for fifteen minutes at most until the next presentation came onto the scene. Nevertheless, I much prefer the more organized and adjudicated process found in the conferences I usually attend simply because the quality is so much higher (sorry geographers, but when I’m spending so much money to attend a conference, every minute matters). Native American communities may reject or discourage the use of materials created by external groups (such as maps) because they do not include or recognize their history, culture, or places (e.g., boundaries, place names). If using ready-made materials, ask for their help to change or modify them. Project budgets that involve Native American communities should include gifts for everyone involved (such as an honorarium or project products). Outsiders have too often failed to recognize the value of Native American knowledge, experience, or contributions, so they’ll be reluctant to participate without a tangible benefit. This applies to many other ethnic or cultural groups as well. If using devices such as smartphones and tablets in your public programs, test them under various conditions. Screens are often hard to read outdoors in full sun and smartphone screens may be too small to read or use. ArcGIS Story Map by ESRI is a nice way to display and share information about places but responsiveness decreases as the data increases. For an example, see the Online Atlas of Illinois for K-12 Classrooms. Geoinquiries, a guided experience for students using geography developed by ERSI, can be very effective for expanding the use of maps from merely finding locations to making connections across disciplines. The approach will be unfamiliar to most teachers so provide extra training and testimonials so they can gain confidence. For an example, see EarthXplorers at the University of Minnesota (which features National Parks). Google has a handful for geographic tools beyond Maps that can be useful for public programs or internal planning. For example, you can use Google Expeditions (intermediate level of difficulty) or Tour Builder (easy, in beta) to create guided tours or contribute 360º views of your site (inside or out) by borrowing a Street View backpack or using a special camera. The slide deck from their presentation is available at bit.ly/Worldinclassroom. BTW, Street View is not available for the iPad but there’s a work-around: download the iPhone app version on your iPad! I do see that geography conferences have a lot to offer historic site interpreters, but it might be better to attend the National Council for Geographic Education meetings or become a certified National Geographic Educator than attend a Canadian Association of Geographers or American Association of Geographers meeting. 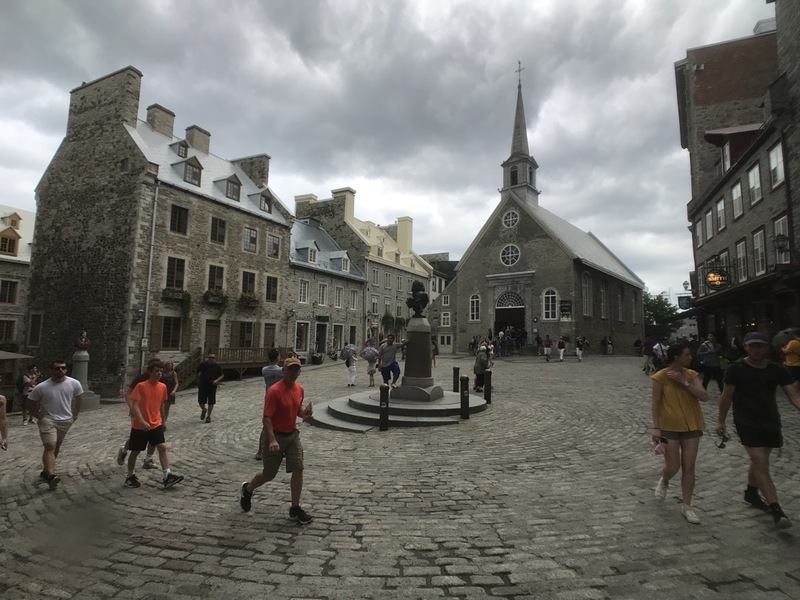 “Lower Town” is a Williamsburg-like neighborhood of Old Quebec that features historic buildings.